Dr Sebi said "I love to fast"
This article is copyrighted for the Mucusless-Diet.com - All rights reserved. Dr. Sebi said "I love to fast because I am good for her." Fasting has given many benefits to Dr. Sebi and thus he taught his followers to fast also. He said every Sebian should fast 12 days a year but Dr. Sebian fasted for more than 90 days. After 30 days he cured his diabetes and after 52 days he was no longer impotent and that is what he meant, I am good for her. 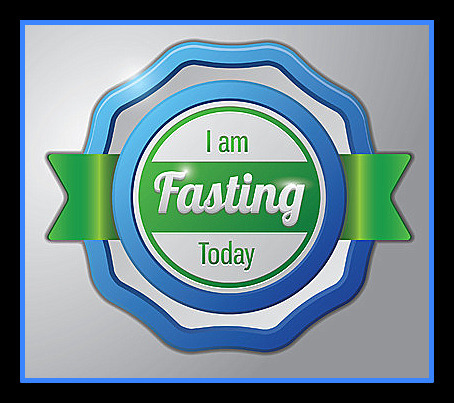 Beginning on a fasting journey should be a happy time for you. You will follow in Dr. Sebi's footsteps and do what he has instructed his followers to do. He said, "I love to fast." Fasting has been common through the ages for many people. Muslims fast and when Prophet Mohammad had no food in his home, he would instruct everyone to fast. Jesus fasted and Jews fast too. The Dr. Sebi way of fasting is easy, but it is a major detox and so like he said and others say, "Prepare to be sick." Dr. Sebi was nauseated from days 7 to 14. Your brain is in major starvation mode and you will have to suffer a bit until your body understands that you are not dying just changing. This is the question I get asked all the time. You cannot just start fasting without preparation. Your body needs nutrition and you need to take at least one week or maybe 2 or 3 preparing. The first step is to be on an alkaline electric food plan. Take the time to get to know who Dr. Sebi is and what he says is best to eat. Read Dr. Sebi's Nutritional Guide Here. Step 2 is to order your herbs and supplies. I did a 12 day fast with no herbs and it was hard. I suggest you stock your cabinets with the basics. He also drank his sea moss tea. To make the tea, it is suggested to make hemp milk. Hemp milk is simply hemp seeds and water. Blend the milk with a hand blender or place in a blender. No straining is necessary. To two cups of water you need 2 tablespoons of seeds. Place the milk in a pan with your bromine mix (1/2 tablespoon per cup) , some vanilla is ok too. Dr. Sebi said you can add banana to the hemp milk. Then he added in lots of agave nectar. Bring the pot to near boiling and drink. If you prefer you can add the bromine mix to your smoothies or take in capsule form. Other herbs suggested are: dandelion, elderberry, burdock, cascasa Sagrada, rhubarb, and black walnut leaf. You can interchange other herbs. See choices here.